Location Harkerside. Slacks. 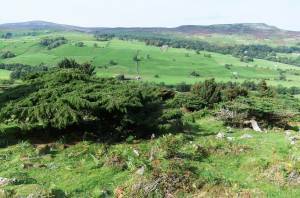 Juniper woodland east of Browna Gill. 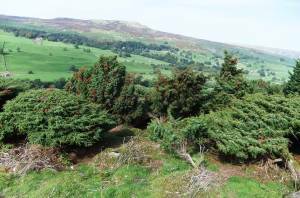 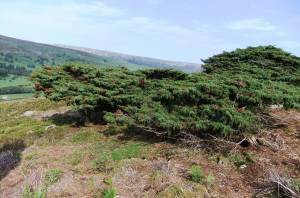 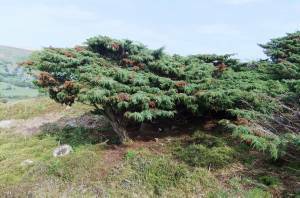 Record Name Juniper woodland on Harkerside. Record Description This is the first SWAAG Record of one of the larger areas of juniper woodland in Swaledale, well known and familiar to most Swaledale people, residents and visitors alike. 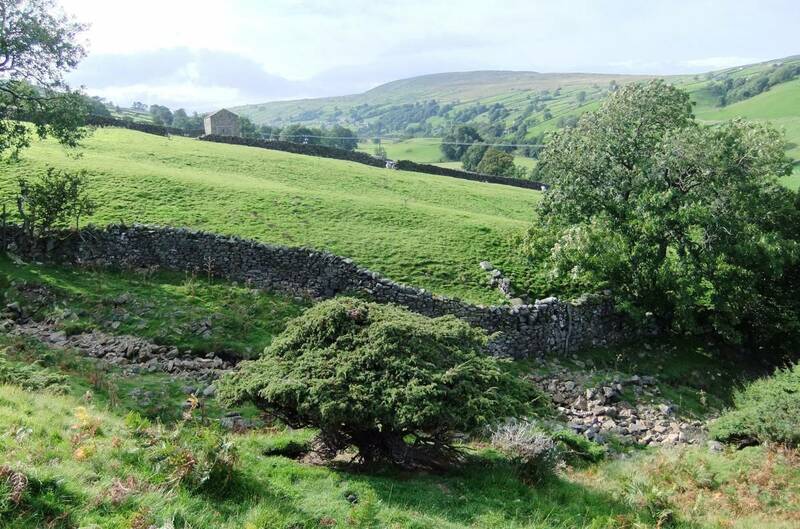 As with the junipers of Kisdon, these junipers are a valuable asset in the Swaledale landscape. 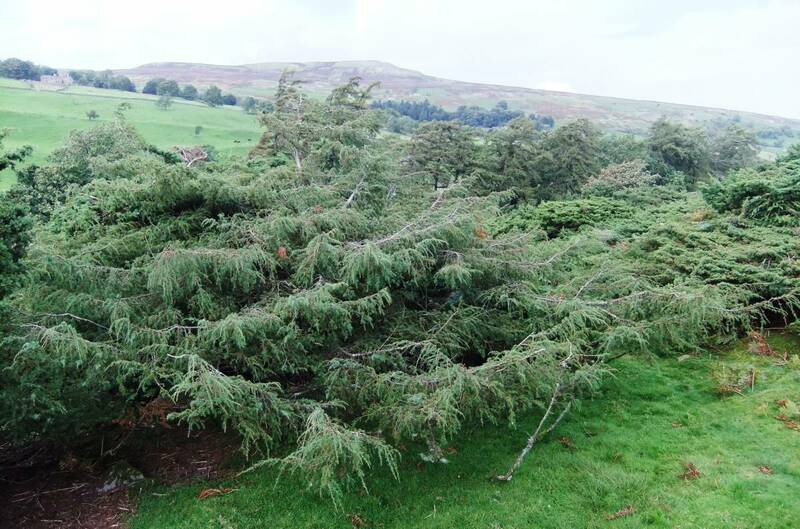 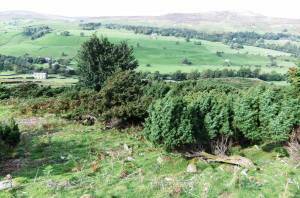 This is an initial photographic record at Browna Gill at a time when all junipers in Britain are at serious risk from yet another species specific fungal pathogen (Phytopthora austrocedrae)which has already killed large areas of juniper in Upper Teesdale and is expected to spread elsewhere. 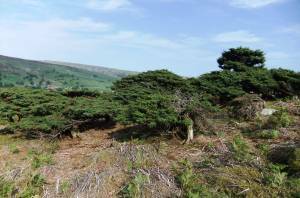 When photographed in mid September, many of the junipers at the South Western section of the Slacks Junipers many bushes were showing a large number of small brown patches, see for example full size photos 5,6 and 13. This has not been confirmed as being caused by the pathogen, Phytopthora austrocedrae and the numerous brown patches on these junipers at Browna Gill could be due to a different cause. 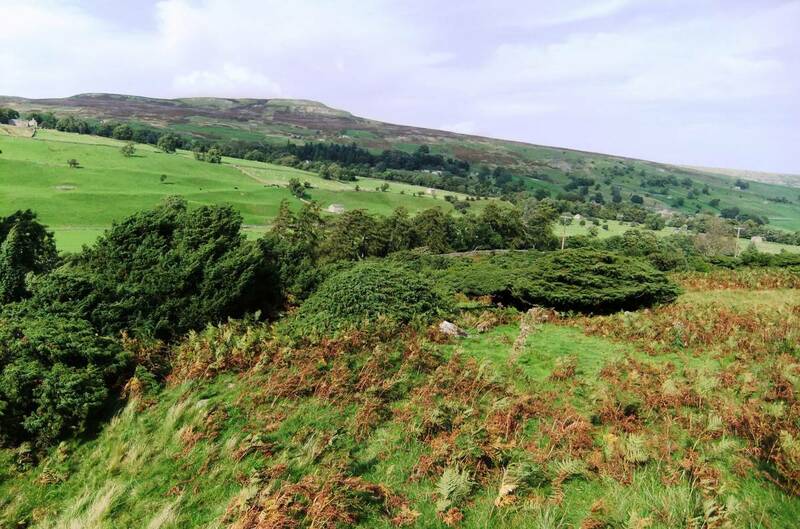 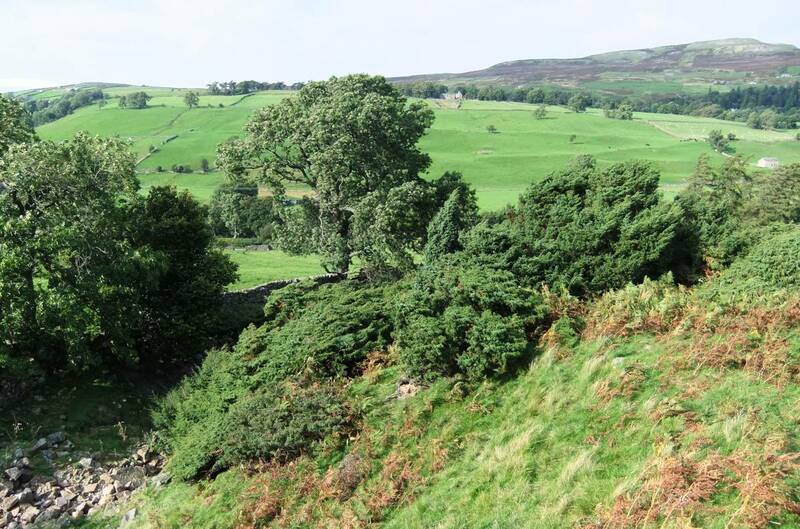 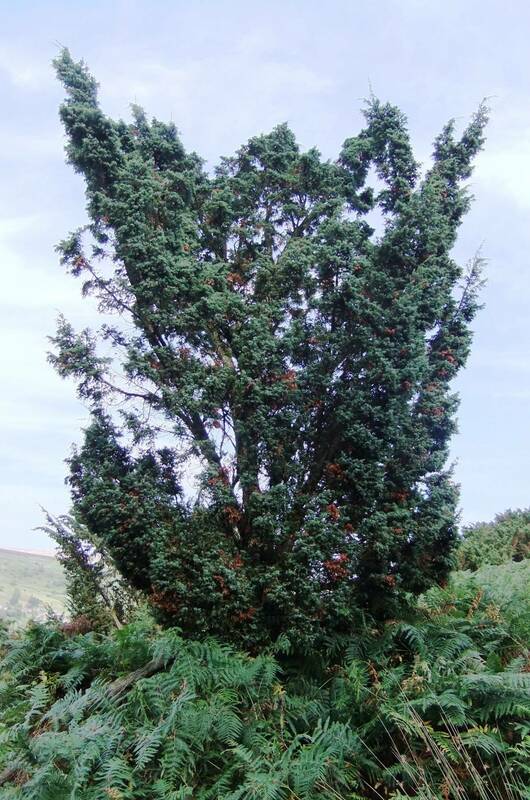 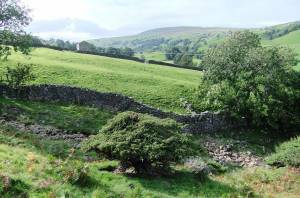 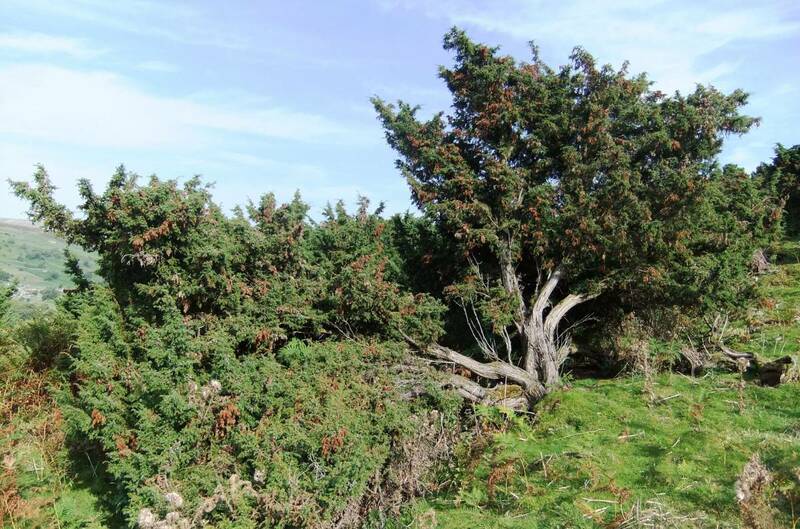 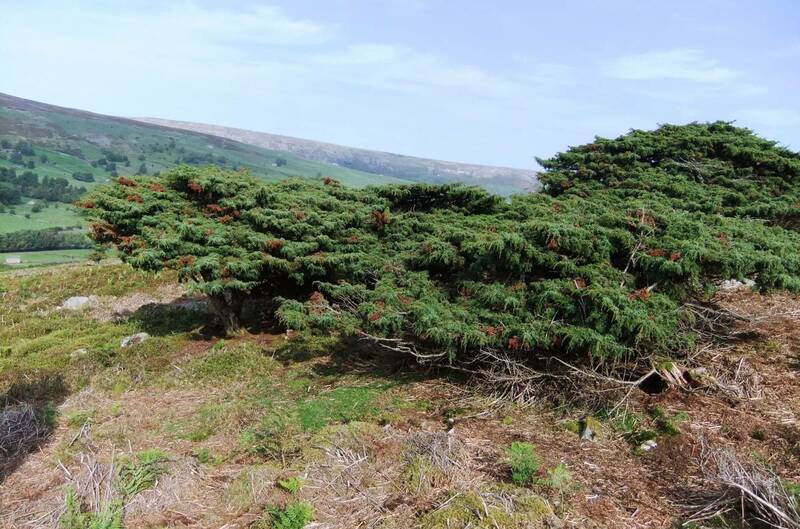 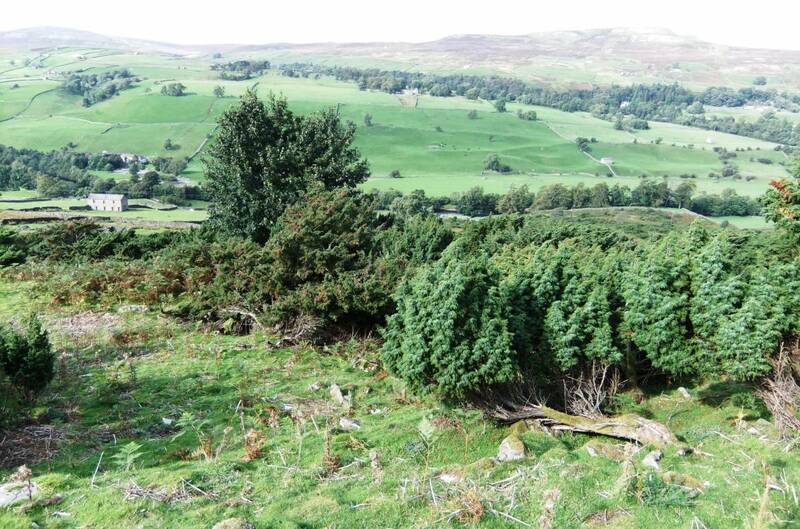 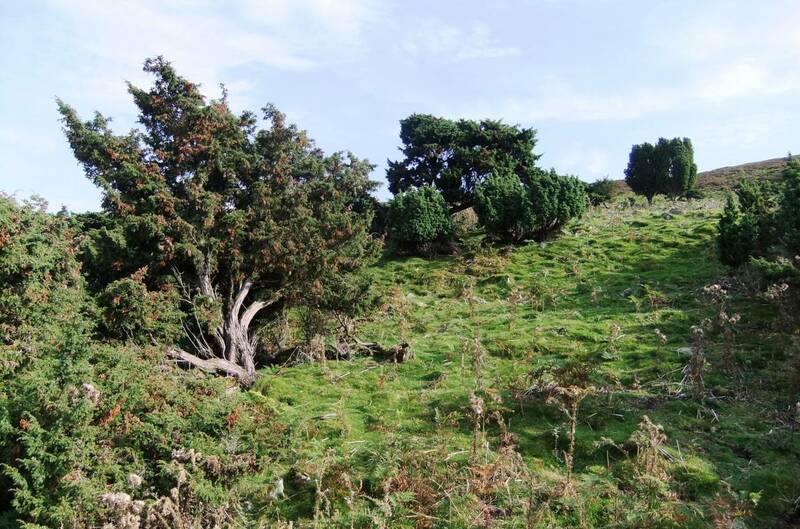 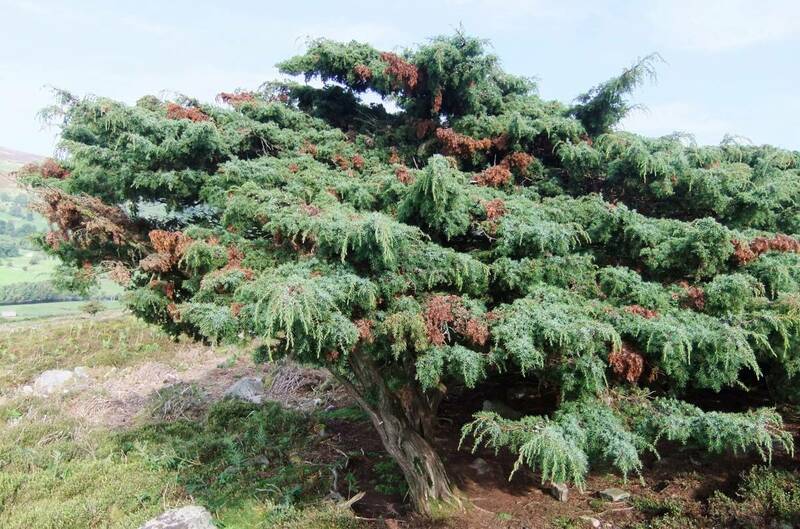 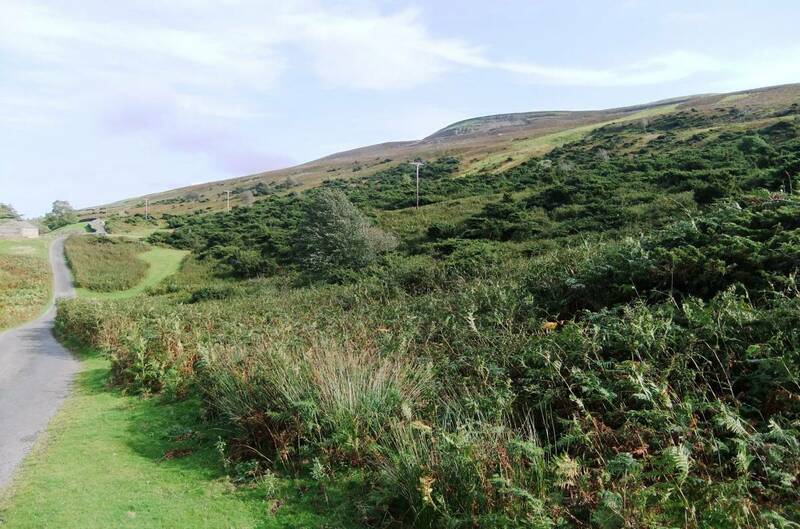 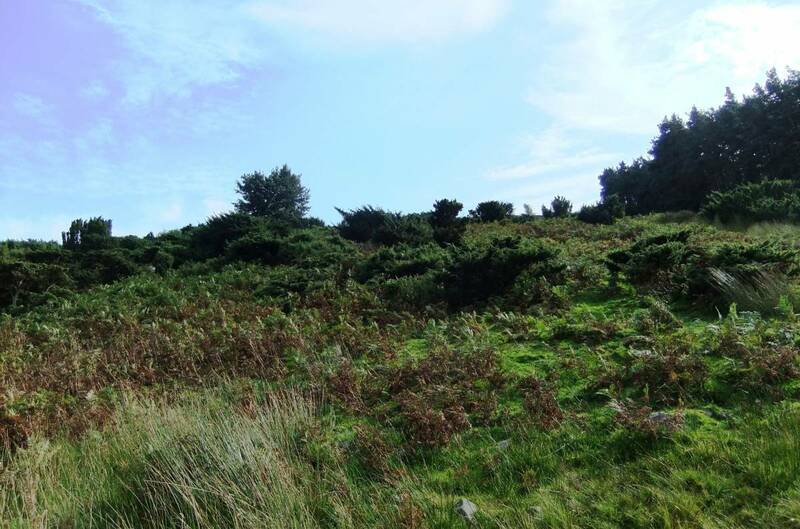 However should the junipers of Swaledale become infected with P.austrocedrae the loss of large numbers of junipers on the Dale Sides and of the many isolated junipers on cliffs and at waterfalls will be disastrous. 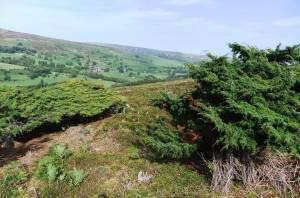 Natural England are aware of this situation generally throughout Northern Britain but I understand that there is little that can be done to prevent infection from airborne spores. Grubbing up and burning infected bushes will probably just spread infection further. Additional Notes The appearance of tree pathogens, viral and fungal, capable of decimating different species of trees and shrubs native to Britain-elm thirty years ago,now ash and juniper is a potential and ever present threat to ancient native woodland and it is considered highly necessary to record trees and woodland subject to these threats so that future generations will be able to see them as they are today, before their possible infection. 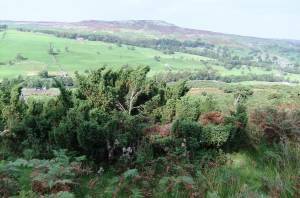 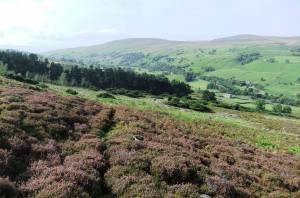 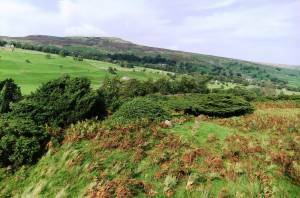 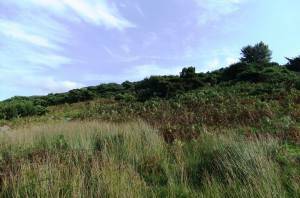 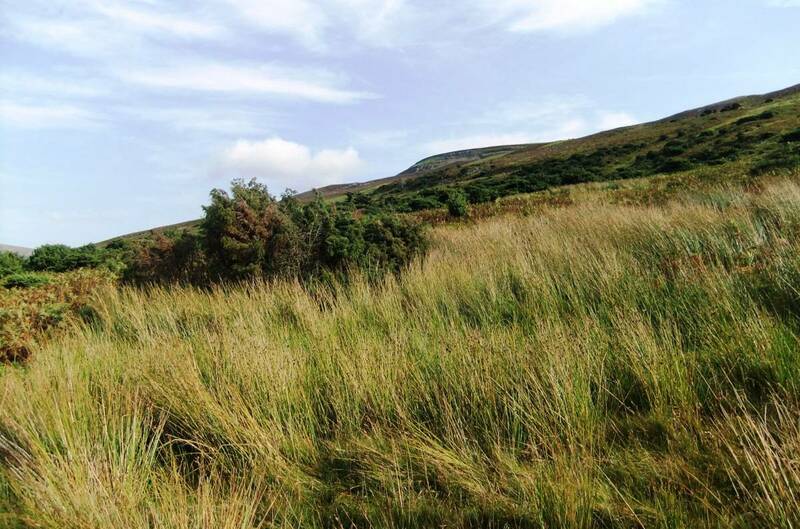 All surviving fragments of native woodland in the uplands, subject to several different threats, should be carefully and accurately recorded. 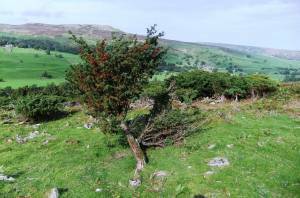 This record is a partial current photographic record of the junipers at Browna Gill, further records of remaining areas at Slacks on Harkerside will be added to this database in due course.